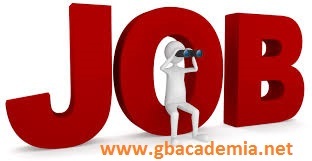 Sales Officers required for a growing cosmetics company having stable demand and positive customer feedback for the sale of its products on cash basis..... Salary is negotiable. Prior experience would be an added advantage. Location would be Gujranwala Region. Potential candidates may send their resume at fcbc.lhr@gmail.com or send your intro at 03006415015 before February 15, 2018. Our Client, offshore drilling services which has operations in various countries is looking out for an Accountant with at least 2 years of experience in accounting. The applicant should have accounts payable experience. Payroll processing knowledge is must. Qualification required Commerce Graduates, with an excellent Academic background. Candidate has to be fluent in at least one of these languages Czech, Danish, Dutch, Estonian, French, German, Italian, Latvian, Lithuanian, Maltese, Polish, Portuguese, Spanish and Swedish languages. Excellent Communication skills imperative. Looking for Female Legal and Corporate Compliance Executive for a MNC based in Lahore. Education: LLB. Experience of 1 to 2 years relevant experience. Candidate should have experience of implementing guidelines of Corporate Legal & Compliance Department in alignment with local laws. Kindly forward your resume at marium.adnan@hcspak.com by mentioning applied position in subject line. Share relevant resumes in Ms Word format.